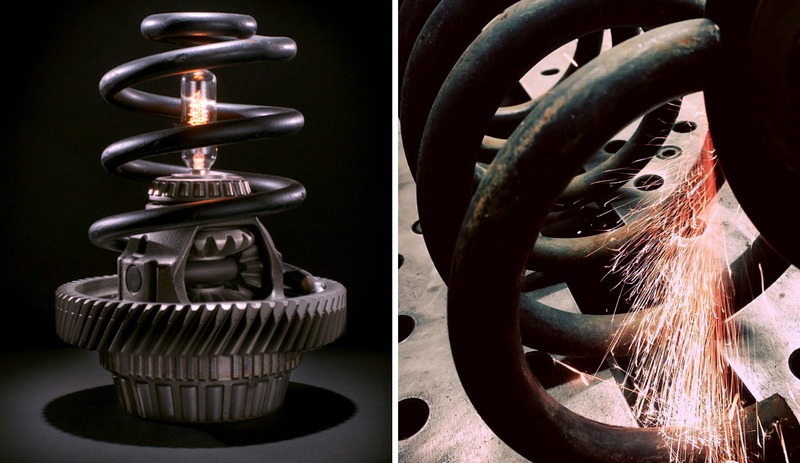 Inspiring Industrial Designs, Fabulous & Functional in Form. Salvaged Metal Enjoying a Second Life as Amazing Useable Art. The best Arts & Crafters find a niche in their chosen area of expertise, but rarely without taking time to explore and test the boundaries. 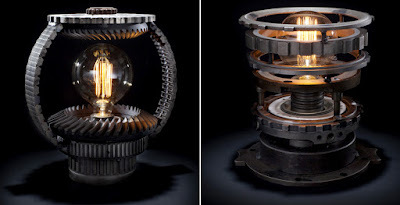 Luckily for Philip Edgerton of Edgework Design, his father equipped him early with a love of tinkering, especially handy when your favorite art is Metalwork. Spending his younger years helping his dad fix things around the house, he built a great foundation of knowledge and confidence for the upcycling he would come to tackle in his art career. 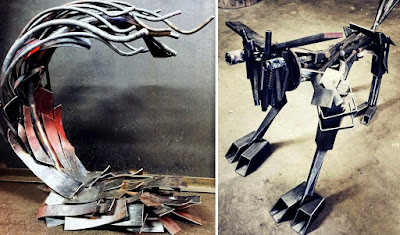 These days, Philip mostly uses salvaged steel for his projects because he loves the weathered nature - dings, wear and tear, scratches, all reminders of a past life now renewed in his art. While he has quite a bit of skill in woodworking as well, his passion has centered him on metal so he often collaborates with other local talents to incorporate both media into one piece like some of the furniture he's designed. Tables, chairs, benches, desk, other homewares, all with wonderful technique and beautiful, but also functional aesthetic. Every piece is a little different; for furniture, he usually maps our a rendering and then builds. However, his art more often starts with a vision that he lets come together as he builds, more organically and artistically. 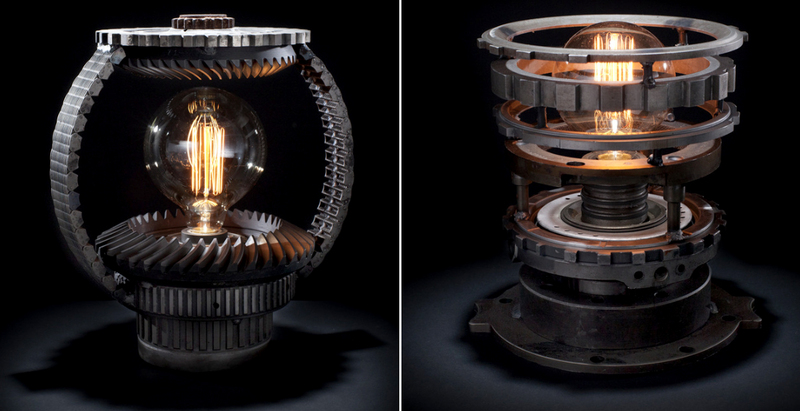 These pieces range from lamps to sculptures. The juxtaposition of industrial look & feel with artistic design is fabulous! You can see how the elements of each piece create form and even movement in ways that I imagine weren't originally part of the plan for that steel. Philip is an inventor and a collector and a maker, all magically rolled into one!